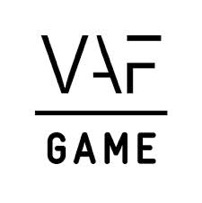 The following story including actual sales numbers is very interesting and inspiring to all Flemish game developers! 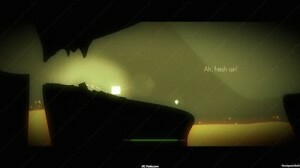 Courtesy of i-IIlusions, developer of Element4l, an alternative platform game, released on May 24 2013. The game was a finalist at the Unity awards and won the “Best game” award at the International Fantastic Film Festival in Strasbourg. Since sales numbers published by other indie developers were a great help for i-Illusions in the past, they figured they might share theirs as well. This is not going to be a full post-mortem, but a quick review on how everything turned out for Element4l after the game was released. Following are the notes of Dirk Van Welden (i-Illusions founder and FLEGA board member). Thank you for sharing, Dirk! Element4l was developed in a timeframe of two years, mainly by me. Since I was working 80% for a non-profit organization, I programmed and designed it during my spare time, train rides, weekends and nights. This means there was no real pressure in making a profitable product, I just wanted to make something that I would get a lot of fun of. In the last months of development, I was lucky to be able to work together with two talented and awesome guys: Mitchell Nordine, who made the soundtrack, and Michélé De Feudis, who did the video-animations and some extra visuals. Both of these guys were in it to create something special and had similar goal anticipations as me. I believe that visibility (magazines, websites, stores,…) has the greatest impact on sales. But visibility itself is defined by a whole range of parameters. How original is the game? How well is the game received? What other games did the team create? What’s the budget for marketing? And so on… Since I wanted to do everything myself, I focused my attention on a couple of websites and blogs. I figured: if Element4l gets on one of those, the rest will hopefully follow. Well, it seemed that, while the trailer was picked up very easily, getting reviewed was much more difficult. Element4l was reviewed in almost every magazine and website in the Benelux (Belgium, Netherlands, Luxembourg), but was only reviewed in a limited number of international magazines and websites. Why was that, I figured? I had met many of the Benelux journalists at local game conferences while demoing Element4l. All of them are great people, driven by their passion for games. Just talking with them and sharing my honest passion for games resulted in a lot of reviews. I wish I had been able to travel abroad showing Element4l to larger audiences and more journalists, but honestly, I did not have the time or money. If you create something so personal, involving huge amounts of work, dedication and passion, it is easy to go mental on critique. A lot of good reviews raises the bar for happiness, and bad reviews stab you in the heart. It is far easier to distance yourself from these feelings if you’re just in it for the money or business. Once you have put your soul into a product, it becomes a very personal and fragile item. For those reasons, I totally understand what Davey Wreden (The Stanley Parable) went through. Most people that have played Element4l soon find that it is a pretty hard game, and I must admit, before I invited beta-testers, it was much harder… Element4l has been eased out a lot since it was created, but still, the difficulty has been the pinnacle of Element4l’s critique. Still, I was lucky there. Most of the reviews have 4/5 stars and a friend told me last week that 94% of the people that reviewed Element4l were recommending it. Pretty neat! (Enhanced Steam, check it out). The weeks after Element4l was launched, Mary Kish (Indieviddy) did a great job getting additional reviews. Launch: You can see that our curve follows the same direction as almost any other game out there. It’s called exponential decay… The sales numbers on the first day basically give you an impression on how well your game will sell over the next couple of months on a certain platform. If you don’t believe it, compare it to the sales numbers of Dustforce (thanks Hitbox!). During launch, Element4l was featured on the main banner of Steam. Like I said, visibility means the world. You will notice this if you compare the Autumn & Winter sale. Autumn sale: 50% off, minor visibility. No special announcement, one click away from the steam main page. Christmas/new year sale: 50% off, no visibility. 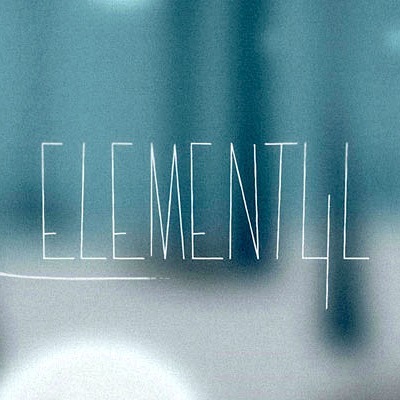 As of this moment, Element4l has sold over 22.000 copies and achieved a total revenue of 140.000$. minus corporate tax in Belgium: 32% (yeah, that much…) = 70.455$. Now, some people are probably thinking… “But you worked two years on it! That’s less than what I get for my day job.” True, but this started out as a hobby… It’s not quite enough money to start a studio and hire talented co-workers, but sure enough to be motivated to create something new and hopefully something even more awesome. This concludes our blog post series, but stay tuned for occasional updates on the matter and for the unveiling of our full report in June.